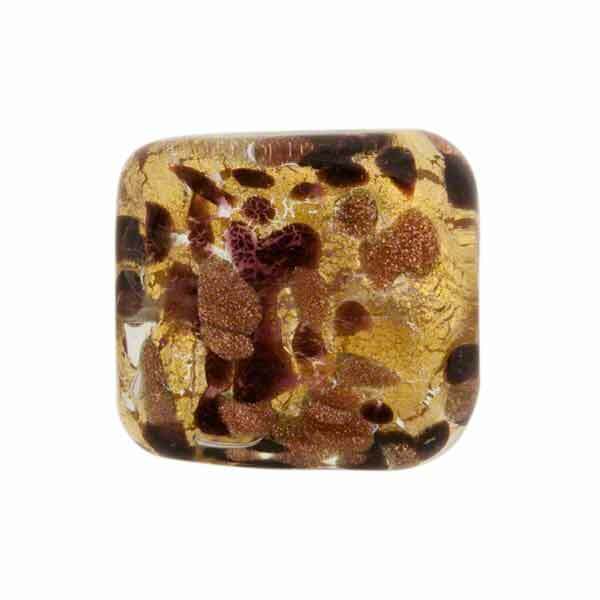 Murano Glass square about 18mm in rounded on the edges as it is hand formed. 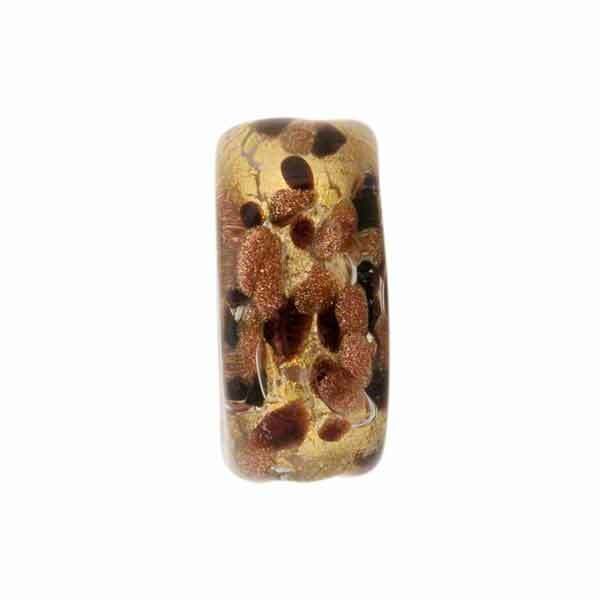 The thickness is approximately 7mm with a 1mm hole in the center of the bead. These Murano Glass beads make great little earrings or bracelets. 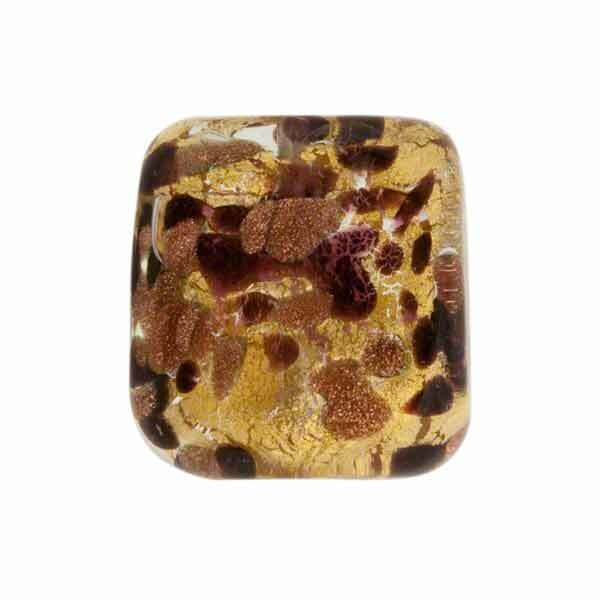 The sparkle in these is provided by the use dots of nero (chocolate black) and of sprinkles of aventurina which is copper particles suspended in the glass over 24kt gold foil completely encased in clear Authentic Murano Glass.